On the 46th anniversary of the U.S. Supreme Court’s landmark decision in Roe v. Wade, both houses of the New York state Legislature voted Jan. 22 to pass the Reproductive Health Act, which will significantly expand abortion in the state. Gov. Andrew Cuomo signed the bill into law later that day. The passage of this legislation on the anniversary of Roe makes Jan. 22 an even more solemn date, according to a somber statement from the New York State Catholic Conference, which represents the state’s bishops in public-policy matters. “With the legislature’s passage and Governor Cuomo’s signing of the Reproductive Health Act, our beloved state has become a more dangerous one for women and their unborn babies,” the Catholic conference said. 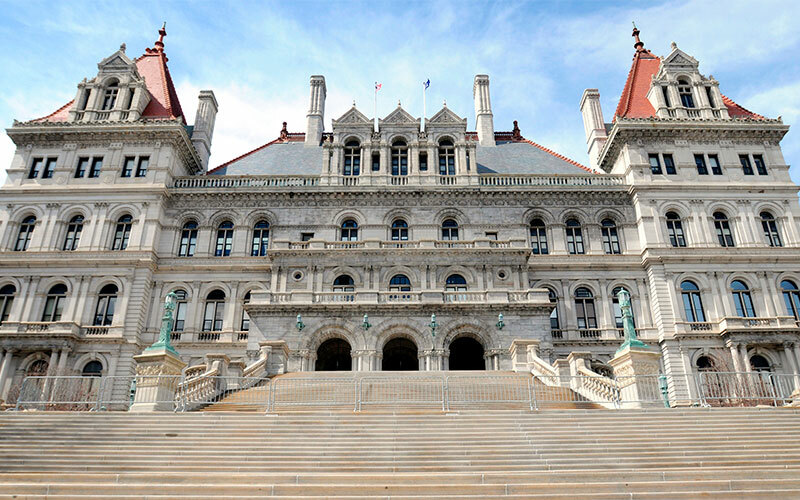 The Reproductive Health Act, which in previous iterations had stalled in the state Legislature for the last 12 years, was introduced in the state Senate and Assembly Jan. 9 and championed by Cuomo in his Jan. 15 State of the State address. According to the Catholic conference, it will expand access to abortion by eliminating current state restrictions on late-term abortions; empowering “health-care practitioners” — who may not be medical doctors — to perform abortions; removing protections against unwanted or coerced abortions; and removing protections for infants born alive after failed abortion attempts. The Catholic conference successfully led opposition to the legislation for a dozen years, and this year again encouraged Catholics to speak out against the bill. Although the act’s passage was all but guaranteed when Democratic majorities took control of both houses in last November’s elections, the bishops expressed disappointment in politicians who voted to support it. In their statement, the Catholic conference thanked all those who joined them in the fight to prevent “this horrendous policy” and encouraged pro-life New Yorkers to pray. “Let us all pray for the conversion of heart for those who celebrate this tragic moment in the history of our state. And we pray in a special way for the lives that will be lost, and for the women of our state who are made less safe under this law,” the Catholic conference said.